Most tourists who come to Costa Rica visit at least one national park while in the country. And many travel here specifically to visit Costa Rica’s renowned national parks with their rich array of diversity, beauty, and flora and fauna. From cold alpine climates to hot and humid tropical rainforest, from rare dry tropical forest to coral reefs and marine parks, from remote and wild areas to the national parks that can be seen an hour away from downtown San Jose – all encompass the wonders of nature available to see and experience in Costa Rica’s national park system. Close to 26 percent of Costa Rica’s territory is protected under the National Conservation Areas System (SINAC). Established in 1998, it protects the 11 conservation areas in Costa Rica, which include 31 national parks, 34 wildlife refuges, 15 biological and forest reserves, 11 wetlands, and 33 protected zones. Further, the nation protects 15.7 percent of its marine territory. 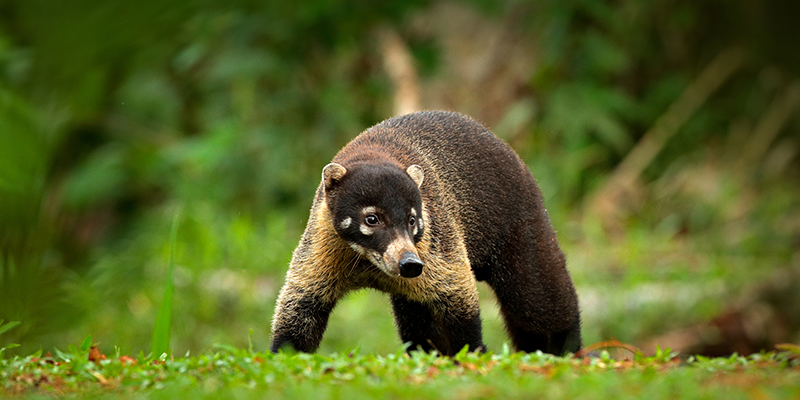 In addition, there are dozens of private reserves that extend Costa Rica’s protected areas. From very small parks to popular spots like the Monteverde Cloud Forest Reserve, private reserves play an essential role in the country’s nature conservation efforts. Horizontes Nature Tours includes a visit to at least one national park in Costa Rica in all of its tailor-made Costa Rica eco-tours. They know every corner of the country and all of the most amazing places. Costa Rica naturalist guide Gustavo Abarca, who has been guiding trips with Horizontes Nature Tours for 25 years, gives us his recommendations for four of his favorite Costa Rica national parks and one private reserve. Location: On the Osa Peninsula in southwestern Costa Rica. Ecosystems: Shallow lagoons, marsh, mangrove swamps, rivers, wet forest, low-altitude cloud forest, and 28.6 miles (46 km) of sandy beach. Flora and fauna: 140 types of mammals, 367 kinds of birds, 117 species of amphibians and reptiles, 6,000 different insects, 40 types of freshwater fish, and 500 kinds of trees. Important tip: It is required for all visitors to be accompanied by a certified tour guide at all times in the park. Horizontes Nature Tours regularly visits Corcovado National Park with its groups, and supports rural tourism through the Caminos de Osa program. They also operate tours in the national park for National Geographic’s adventure cruises with Lindblad Expeditions. Location: On the northern Caribbean Coast of Costa Rica. Founded: September 24, 1970 (and it has expanded three times in 1980, 1995 and 1998). Size: 297 sq. mi. (76,937 hectares) – of these, 194.15 sq. mi. (50,284 hectares) are marine/fresh water and 102.91 sq. mi. (26,653 hectares) are land. Ecosystems: Rivers and canals, shallow lagoons, marshes and swamps, sandy beaches and humid and very humid tropical forest. Flora and fauna: 734 plant species, 442 kinds of birds, 138 mammals, 118 types of reptiles, 58 kinds of amphibians, 460 arthropods. Tortuguero National Park is internationally recognized for protecting one of the most important nesting beaches for Green sea turtles (Chelonia mydas) in the Western Hemisphere. It is also an important nesting site for Leatherback sea turtles (Dermochelys coriacea), Hawksbill (Eretmochelys imbricata) and Loggerhead (Caretta caretta) sea turtles. Thanks to University of Florida zoologist, Dr. Archie Carr, who founded the Caribbean Conservation Corporation (CCC) in the 1950s to study the turtles, Tortuguero National Park was created. Composed mostly of an extensive network of rivers and canals, access to Tortuguero National Park is only possible by small boat or small plane (to the one landing strip), which makes the park unlike any other. 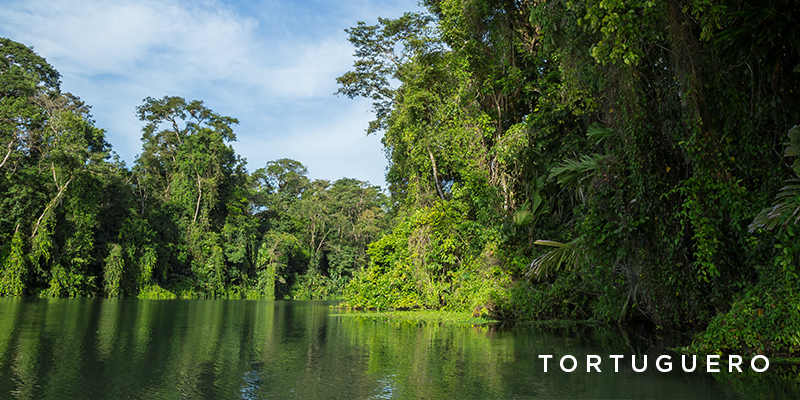 Tortuguero also protects important populations of endangered species, such as the Green Macaw and West Indian Manatee. Location: On Costa Rica’s Central Pacific Coast. Size: 2.64 sq. mi. (683 hectares) of land and 212.36 sq. mi. (55,000 hectares) of marine territory. Ecosystems: Beaches, very humid tropical forest, mangrove estuary, marine environments and 12 islands, and a large lagoon. Flora and fauna: 352 species of birds, 109 kinds of mammals, 346 types of plants, and varied marine fauna. Important tip: The park is closed to visitors on Mondays. All food is forbidden in the park in order to protect the monkeys that have been fed by tourists for years. Re-fillable water bottles are allowed. 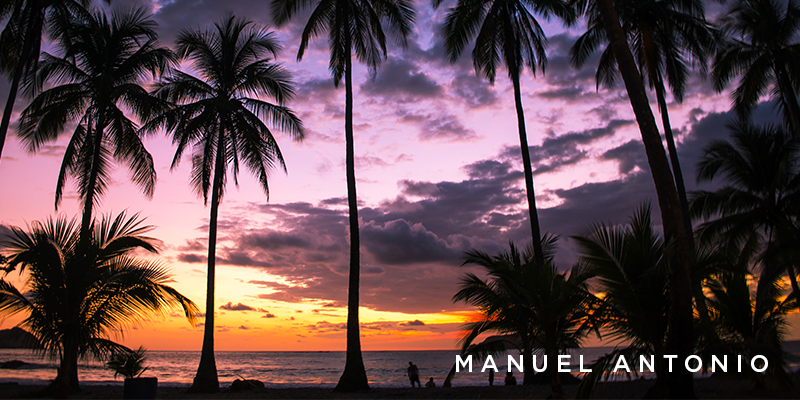 Gorgeous tropical beaches and emerald green rainforest come together in one place at Manuel Antonio National Park, resulting in a magical natural paradise. No wonder this is the most visited national park in Costa Rica. Manuel Antonio is renowned for its easy opportunities to view abundant wildlife, such as white-faced monkeys, howler monkeys, sloths, raccoons, coatis, toucans, iguanas, and endangered squirrel monkeys (Saimiri oerstedii citrinellus) that are endemic to the region. Location: In the northern Pacific province of Guanacaste. Ecosystems: Dry tropical forest, volcanoes, hot springs, rainforest, rivers and waterfalls. Flora and fauna: Three species of monkeys, wild cats and numerous other mammals, various kinds of reptiles, and more than 300 species of birds. Important tip: The park is closed to visitors on Mondays. You can see one of Costa Rica’s geothermal energy plants at Rincon de la Vieja that uses the volcano’s powerful steam to generate electricity. This national park protects the active Rincon de la Vieja Volcano and the dormant Santa Maria Volcano. It is part of the UNESCO World Heritage Site of the Guanacaste Conservation Area. The Pacific side of the park and volcanoes is covered with rare tropical dry forest, while the Caribbean slope is graced with lush rainforest. 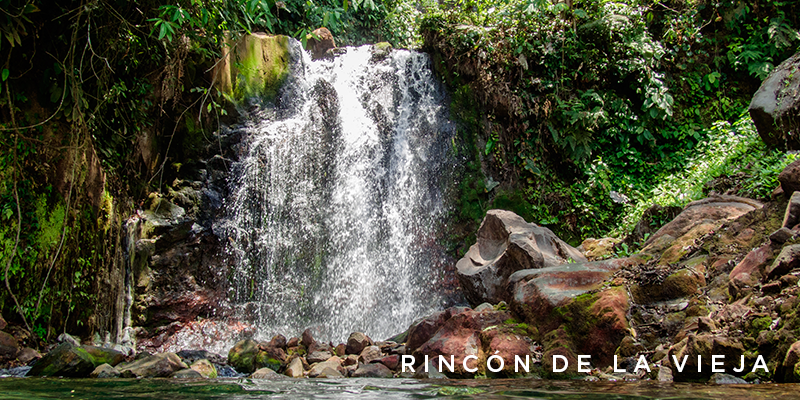 Rincon de la Vieja National Park has two sectors – Las Pailas and Santa Maria – and an elevation range from 1,299 to 6,286 feet (396 to 1,916 m). Location: In the Tilaran Mountain Range in north-central Costa Rica. Ecosystems: Cloud forest, rainforest, rivers and waterfalls. Flora and fauna: 400 varieties of birds, over 100 kinds of mammals, reptiles and amphibians, butterflies and other insects, and 2,500 species of plants (420 are orchids). The Monteverde Cloud Forest Reserve is a private, nonprofit reserve managed by the Tropical Science Center. Monteverde was primarily settled by a group of Quakers from the U.S. in the 1950s, and it was some of these original settlers who helped create the reserve. 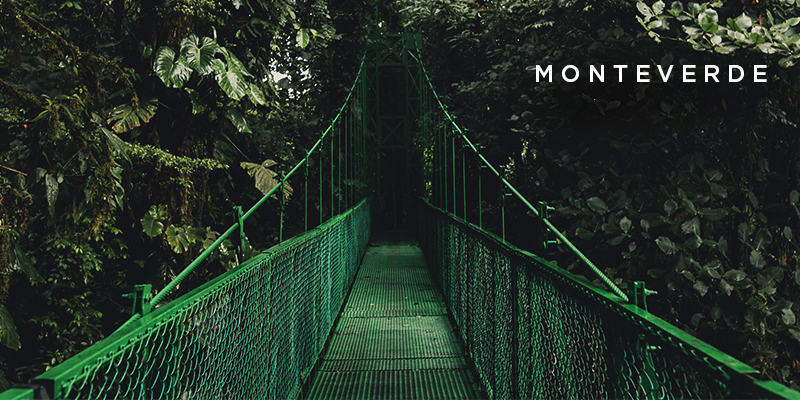 At 4,662 feet (1,440 m) above sea level, Monteverde is similar to the Pacific Northwest region of the U.S. – always green due to frequent precipitation and moisture-filled clouds which produce mist and fog in the forest on an almost daily basis. 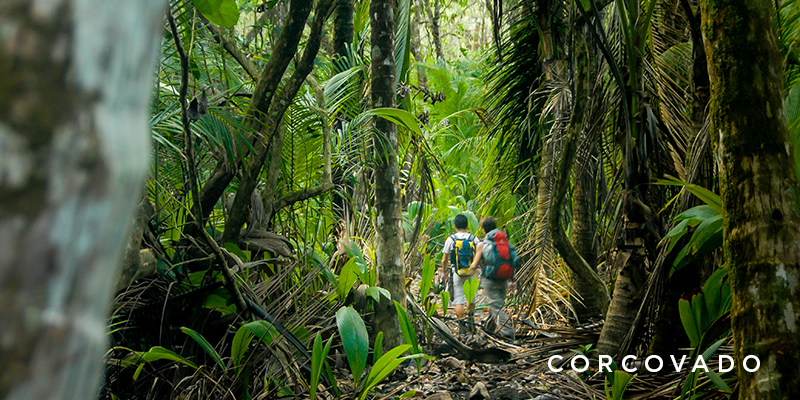 The story of Costa Rica’s national parks is interwoven with the country’s successful recuperation of its forests. Decades of aggressive deforestation for agriculture, livestock production and logging left Costa Rica with only 26 percent of its forest cover. In 1960, nature lovers Nicolas Wessberg from Sweden and his Danish wife, Karen Mogensen, bought a farm near the town of Montezuma to protect the forest and began a movement for conservation. In October 1963, they convinced the Costa Rican government to award it the status of the country’s first privately protected reserve – the Cabo Blanco Absolute Nature Reserve. Then, in 1970, Costa Rican biologists Alvaro Ugalde and Mario Boza began promoting the idea of converting watersheds, already protected by the Costa Rican Electricity Institute (ICE) to preserve the country’s hydroelectric capacity, into national parks. Their idea found powerful support from then President Daniel Oduber and former First Lady Karen Olsen, the wife of three-time head of state José “Pepe” Figueres. The Costa Rican people also wanted their beautiful country to be protected for future generations. So, that same year, the Poás Volcano National Park was founded – the first of Costa Rica’s world-famous national park system. Thanks to these protective policies, Costa Rica is the first tropical country to have stopped and reversed deforestation. Today the country has restored its forests to cover almost 52 percent of its landmass. Many of Costa Rica’s national parks are open every day; some are closed on Mondays. It is best to check the operating hours for each individual park to plan your visit. Entrance fees for tourists range between $10 and $16; rates for locals, legal residents, and children are lower. Private reserves set their own entrance fees, which could be higher or lower than the national system. Costa Rica also is making an effort to make some of the most popular national parks to be wheelchair accessible. Check with Horizontes Nature Tours for which parks provide universal access. 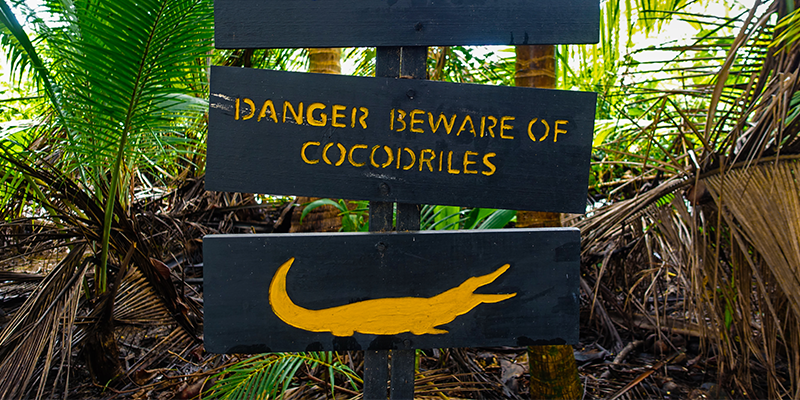 Some national parks require a certified guide to be with you at all times – Tortuguero and Corcovado. In terms of learning and enjoying the natural features of any of Costa Rica’s fantastic national parks, a guide is indispensable since they know what to look for to spot wildlife and can explain the ecosystem around you. Horizontes Nature Tours works with a team of highly professional, certified naturalist guides who will make your visit to Costa Rica’s national parks an unforgettable experience. Thanks for filling out the form. If you get new ideas just let us know.